12 Oaks - 15 year Structural Warranty and Energy Star rated. MLS#2201206. 1369. 12 Oaks - 15 year structural warranty and Energy Star Rated. MLS#2201211. 1369. 12 Oaks - Country Club living with amenities galore just a quick ZIP to RTP, RDU Intl MLS#2195601. 931. 12 Oaks - Look around, this lifestyle is tough to beat! 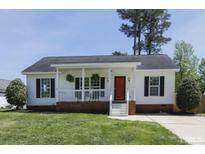 MLS#2194632. 931. 12 Oaks - RTP, RDU Intl attainable in moments via 540. A Lifestyle to Love! MLS#2194394. 931. Quick and EZ commute to RTP/RDU Intl on 540! MLS#2185987. 931. MstrBth: WoodStyleTile, Cstm "AlpineWhite" Paintd DualVanity w/"AbsoluteBlack" Granite, Huge TleSrrnd shower w/Bnch, Transm & ShmpooNiche! MLS#2185640. 1128. MstrBth: WoodStyleTile, Cstm "Espresso" Staind DualVanity w/"ColonialWhite" Granite, Huge TleSrrnd shower w/Bnch, Transm & ShmpooNiche! MLS#2185452. 1128. Upstairs also includes 2 more bedrooms, a large bonus & unfinished 3rd for future growth or tons of storage. MLS#2185084. 835. You don’t want to miss these almost 1/3 acre, amazing home sites, ALL huge and USEABLE yards spaces, nothing in HS compares! MLS#2176755. 4077. Coffered Ceilings, Tile Floors, Granite Countertops, Site Finished Hardwood Floors, Screen Porch, Walk-up Attic, Mudroom w/ Cubbies & Hooks, Beadboard Ceilings, GIANT Master Bath, USABLE Space throughout. 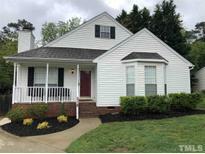 MLS#2167781. 2961. Contact town of HS for details. MLS#2130458. 1965. Walking distance to schools, parks, restaurants, and the grocery store! MLS#2100498. 3789. Property detail report shows just one parcel. 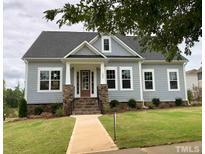 MLS#2067587. 2945.